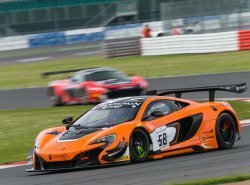 The McLaren 650S GT3 secured the top step of the podium in the second round of the Blancpain Endurance Series at Silverstone with a strong victory for McLaren GT customer team Von Ryan Racing. With factory drivers Rob Bell, Shane van Gisbergen and Kevin Estre at the wheel, the victory marks the first win in the Blancpain Endurance Series for the 650S GT3 in its debut competitive season. The striking orange 650S GT3 wearing #58, showed early pace in qualifying, topping the timesheets at the end of the first session. The times continued to fall over the remaining qualifying sessions, and the pro-driver trio secured a 4th-place start for the three hour endurance race. Rob Bell, starting at his home race, showed his experience in the opening stint and was pushing hard, moving up to 2nd before racing was interrupted under yellow flags. A bold strategy call was made seeing Bell pit and hand over to Shane van Gisbergen, making his Silverstone debut. The 650S GT3, piloted by the New Zealander, rejoined the race with a lead of more than 40 seconds which van Gisbergen was able to maintain. After another stop putting Kevin Estre behind the wheel, the young Frenchman brought the car home with a 23 second lead, securing the first victory for the 650S GT3 in the highly competitive Blancpain Endurance Series. ‘IT IS GREAT TO SEE A MCLAREN TAKING VICTORY, ESPECIALLY AT THE HOME OF BRITISH MOTORSPORT. SINCE ITS LAUNCH LAST YEAR, THE 650S HAS BEEN WINNING AWARDS AND FANS THE WORLD OVER, AND THE 650S GT3 IS PROVING AS POPULAR AND SUCCESSFUL ON TRACK. 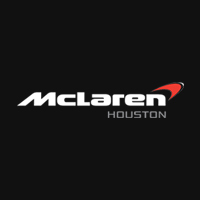 The 650S GT3 is now in second place in the Blancpain Endurance Series Pro Cup with Von Ryan Racing and is leading the Pirelli World Challenge manufacturer’s trophy in North America with K-PAX Racing / Flying Lizard Motorsports.